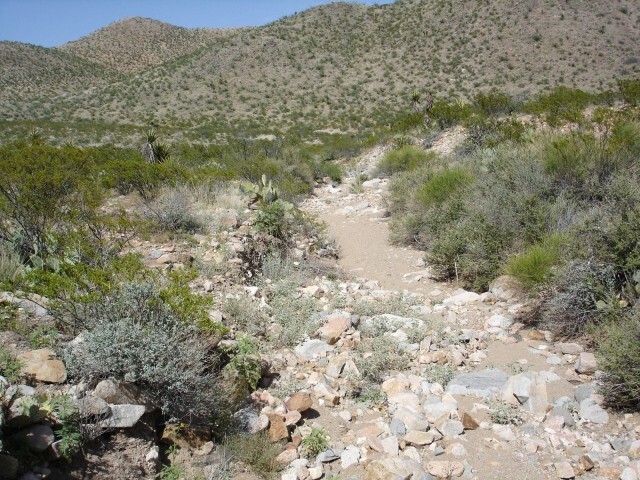 The "Long Wash Gold" is a 40 acre unpatented placer gold mining claim on the northeast slopes of the Belmont Mountains and is conveniently located about 26 miles southwest of the friendly town of Wickenburg and about 60 miles northwest of PHOENIX, ARIZONA. 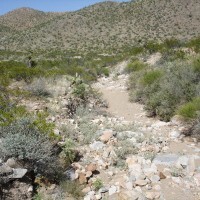 This claim is located in the NE 1/4 of the NE 1/4 of Section 17, Township 4 North, Range 10 West, Gila and Salt River Base and Meridian, Maricopa County, Arizona. The AMC # is 425505.
jagged bedrock exposures and crevices on the claim so good luck exploring these.